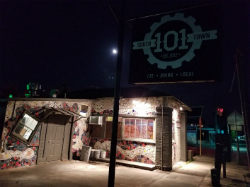 Southtown 101 is a restaurant and grill and a sports bar with an outdoor patio, just minutes from the San Antonio River Walk. Our convenient location only adds to the several reasons why we’re one of the best restaurants to visit in the San Antonio area. 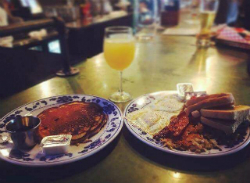 We have all kinds of menu items for breakfast, brunch, lunch, and dinner. Our specialty burgers are always a hit including our peanut butter burger, BIG DADDY burger, and other selections. We invite you to start your morning off right with us for a hearty breakfast or join us for dinner to indulge in our tasty options that are sure to leave you feeling full and satisfied. Southtown 101 provides a comfortable environment that’s full of high energy and a friendly staff. We have an indoor dining area if it’s too hot to eat outside, as well as an outdoor patio where you can enjoy a cool drink when the sun sets. Whether you visit us for food, drinks, or both, you can always expect to have a good time and be taken care of by our entire staff. Why Visit Us? Why Not?! “Loved the burgers we ordered. I added an egg to mine and the egg was cooked yet runny the way I like it. The peanut butter burger my wife ordered was a whole new level of burger goodness--must try! Fries are good and crispy.”—Mark B. “Loved it. Definitely going back. Staff was fast and friendly. The place had a great location and was easy to find. 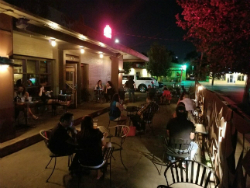 Definitely recommending this place to my friends and family ✊”—Gomez S.
Stop by and see us today, during the week, or on the weekend for good food, refreshing drinks, trivia, live music, karaoke, outdoor dining, and more.